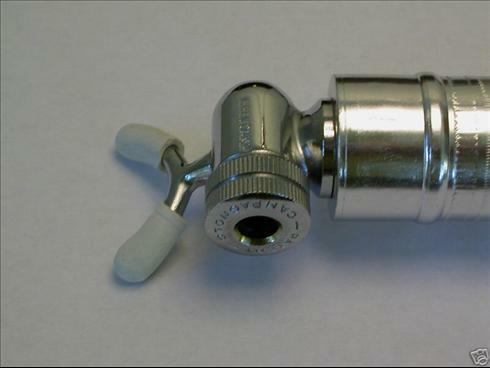 Campagnolo made a chromed plated brass replacement pump head for use on Silca Impero Pumps. It was designed to hold onto the bottom bracket shell between the downtube and the seat tube. It came equipped with a set of rubber "feet" which are frequently missing on vintage specimens. The photos show a pump head mounted on a Silca Pump, the unit stand alone with the corresponding Umbrella pump clip, the black rubber air seal washers that fit between the pump and the pump head, and a replacement set of "feet".